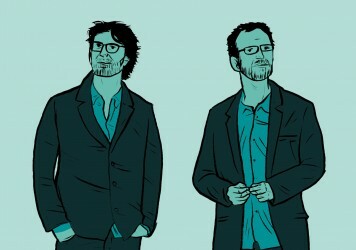 The Coens? On recent form this could be agony. An invincible killing machine with a silencer on his shotgun! It’s like The Terminator, but with decent dialogue! If it’s not a revolution in cinema, it’ll do until the revolution gets here. 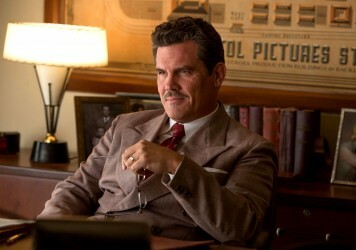 If the Coen brothers’ latest is not a revolution in cinema, it’ll do until the revolution gets here. It’s this sort of exchange, early in the first act of the western noir No Country for Old Men that reminds you why the Coen brothers – the film’s writers, directors, producers and editors – are among the smartest and most skilful filmmakers of their generation. For in a few terse throwaway lines, the scene manages to set up character (Wendell is fearful, Bell is laconic), provide light relief from the previous high tension chase sequence, display an effortlessly authentic grasp of western vernacular, and dramatically prefigure the genuine ‘mess’ that is only moments away from engulfing everyone involved. 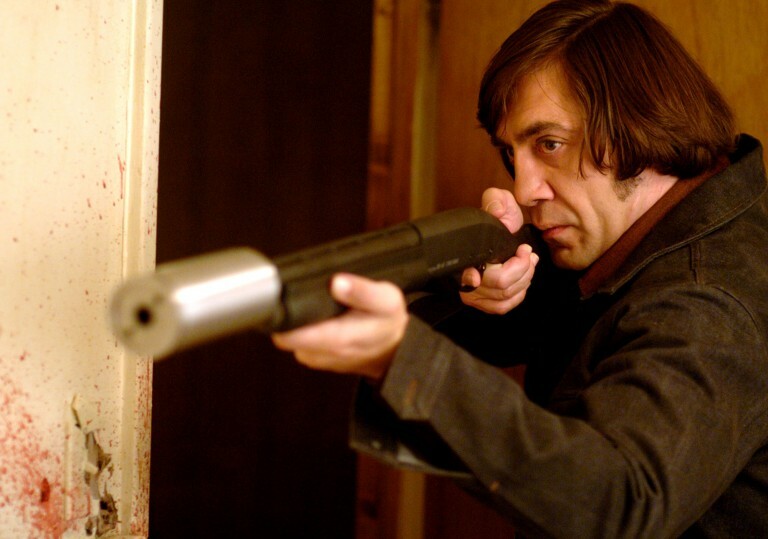 In this, the Coens’ first movie since their 2004 comedy flop The Ladykillers, and thus a piquant return to form, the mess usually comes in the shape of Javier Bardem’s psychopathic assassin Anton Chigurh (he is, as one character hints, only slightly less dangerous than bubonic plague). Top of Chigurh’s hit list is Llewelyn Moss (Josh Brolin), a taciturn army veteran who has stumbled, in typical movie fashion, across the aforementioned scene of bullet-ridden carnage, and is now in possession of $2 million worth of highly coveted mob money. Thus the rest of the film, an adaptation of Cormac McCarthy’s bestselling novel, is a breakneck chase of sorts as Chigurh, armed to the teeth with shotguns, rifles and even a slaughterhouse bolt gun, pursues the resilient Moss across the East Texas landscape (actual location: New Mexico). And yet, even here, just as the movie is beginning to conform to genre expectations (like The Treasure of the Sierra Madre meets Fargo), the Coens have the guts, and indeed the smarts, to pull it in an entirely different direction. Thus a key character is murdered off camera, the pace slows nicely, and with the aid of some impeccable turns from Jones and even Kelly Macdonald (as Moss’ wife, giving her most unselfconscious performance since Trainspotting), the movie becomes a bittersweet lament for a time when the old men of the title weren’t out-gunned and, as Bell says, “out-matched” by the atavistic killers of today’s criminal class. It ends suddenly, perhaps too soon for some. 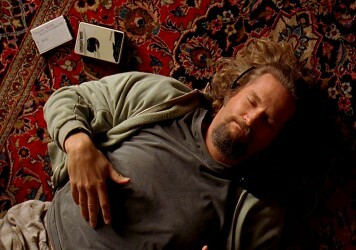 But then, as the Coens clearly know, you can have too much of a good thing. The acclaimed American composer revisits some of his most iconic original scores for the Hail, Caesar! directors.